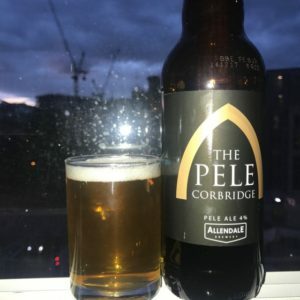 Corbridge’s historic Pele Tower in Market Place has opened its doors as a pub and microbrewery. Run by Darren and Paula Williams, many locals and visitors have already explored the new venture since the official public first night last Thursday (Sept 7). With the pub aiming to breathe yet more new life into the 14th century building originally used as protection against the Border Reivers. Owners Shaun and Jane Cutler had already converted The Pele Tower – next to St Andrew’s Church – to be used for events such as weddings, parties, wine, champagne and gin-tasting nights. Now they have leased it to Darren and Paula to open as a pub seven days a week, while continuing to host events from time to time. Making the building open to both visitors and the local community on a daily basis. 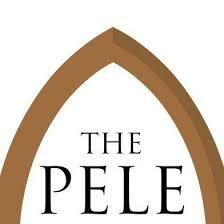 A Pele Ale Special will be made in the building’s small microbrewery with Allendale Brewery also providing a Pele Ale. Allowing visitors to take home a bottled taste of Corbridge. With The Pele Tower pub also selling the usual range of drinks aside from their selection of local beers and lagers.